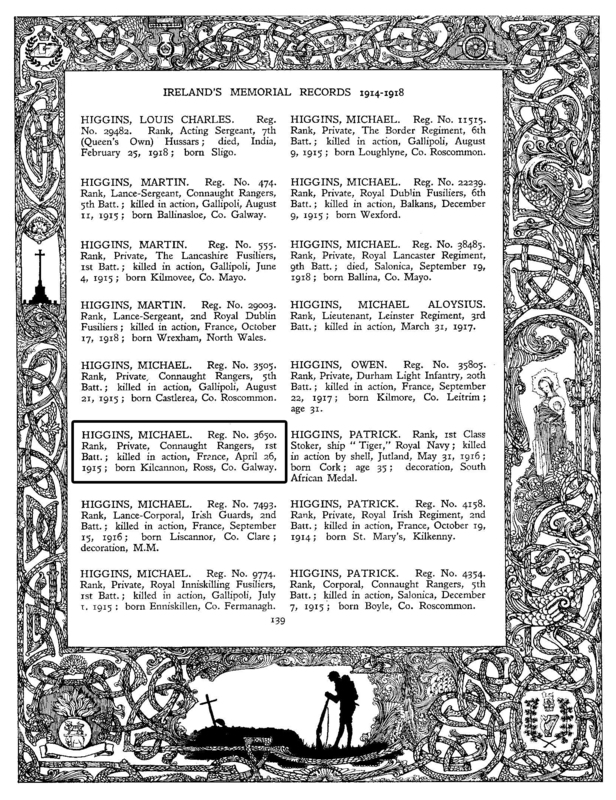 You are here: Home>People>Remembering Men from Oughterard who Died in W.W.1. 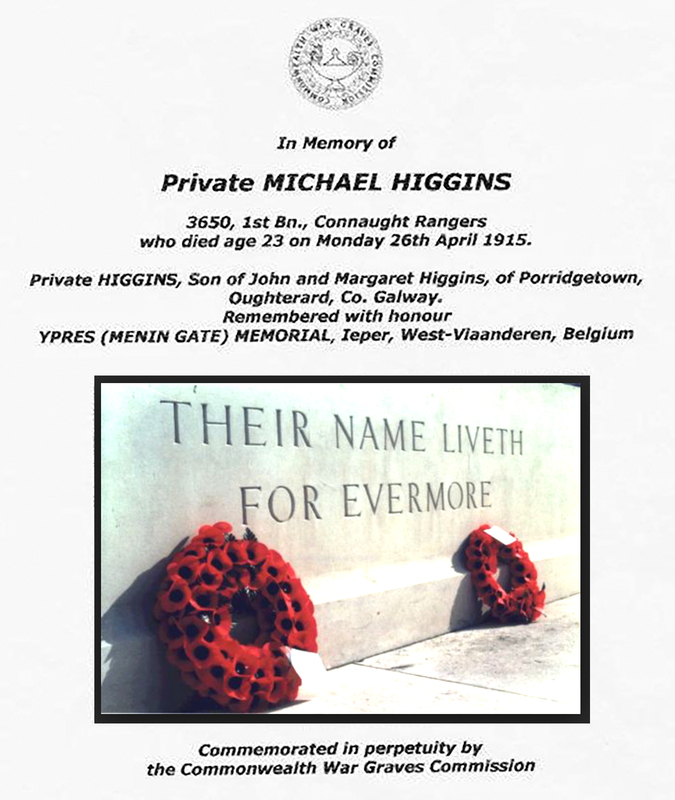 Michael Higgins, eldest son of John Higgins and Margaret Hanly of Doon, Rosscahill who was killed in action in France in April 1915. 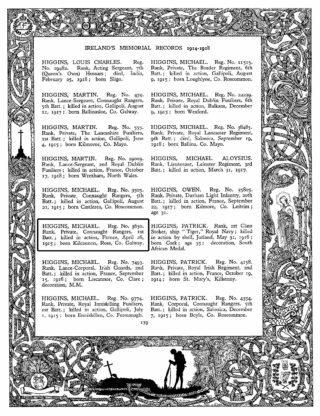 He apparently gave his address as Ross which adjoins the townland of Doon. Ross train station would have been his departure point. His family moved from Doon to Porridgetown some years later. This is the address shown on the War Memorial.